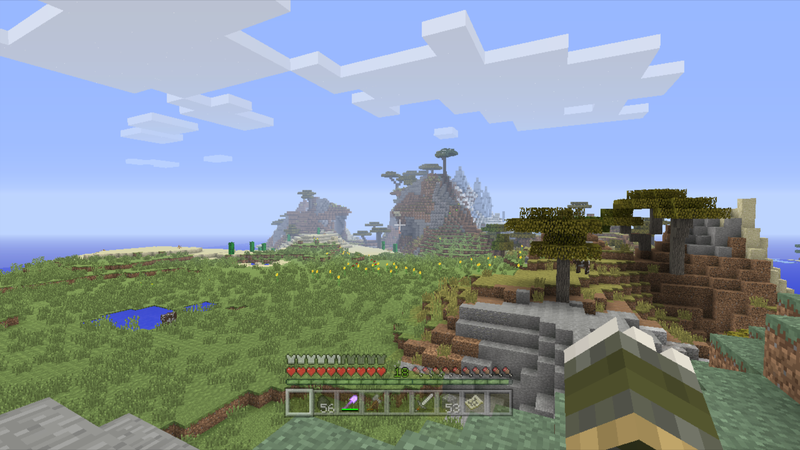 I think it is a plains biome rather than a forest. The Wiki says that tulips can generate with bone meal in plains biomes; but I've not seen them generate in any plains where there were not tulips initially. In addition. on another map, I have a similar plains area where I found tulips initially... and now when I bonemeal that area, it consistently generates more tulips. Although the Wiki doesn't identify a separate plains biomes, I would agree with you and call it a Tulip Plains rather than a Flower Forest. Still, alium is the only flower variety that's missing from this map. why do we need alium anyway? for magenta? still a great seed i would say!! Doing multiple generations of this one to test out bonus chest and technical biome issues I've seen on other seeds. So far, this one is generating a consistent bonus chest for me and consistent technical biomes. The contents are: 1 Stone Pickaxe, 2 Wooden Pickaxes, 2 Pumpkin Seeds, 2 Melon Seeds, 2 Apples, 4 Spruce Saplings, 8 Dark Oak Saplings, 4 Oak Saplings, 3 Oak Planks, a 2 Oak Wood. If any gets anything different in a bonus chest, please let me know. I already have a mesa seed I'm pretty happy with... but may change over to this one after my experimenting with this seed generation issue is done. Again, nice find! ETA: Have now done a few generations of this seed (all in survival)... every once in awhile my initial spawn point shifts from the Mega Taiga biome to the Savannah biome (near the one village). This has happened twice now. When this happens, the bonus chest contents also changes. The two bonus chests at this spawn also differed in contents from each other; the bonus chest contents at the Mega Taiga spawn point seem to be always the same (as listed). Otherwise, terrain looks pretty consistent. 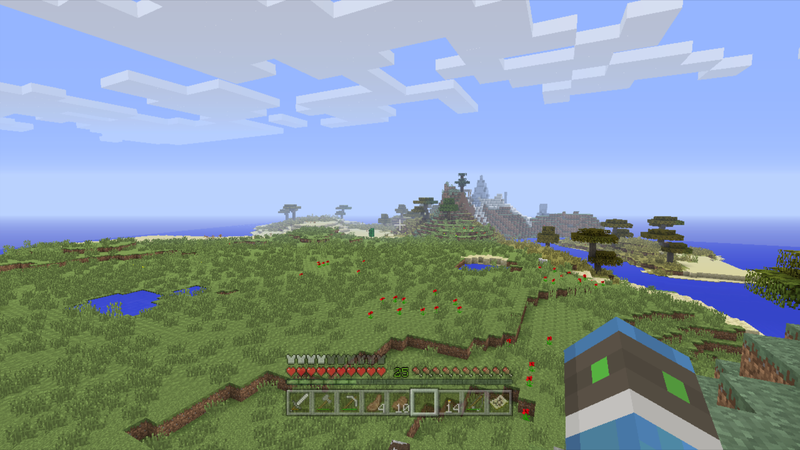 hey up up_away95 biomes looks like been changed! "One Dagger in The Dark, is Worth A Thousand Swords at Dawn"
Yep. Thats the place mine was glitched as well. Sry about your xbox fluffy. I had one pull the RR of death on me when it was only 2 weeks old 8(. I think a lot of people have been looking for an "all encompassing" seed... I'm on the other side of that flip, but it's equally unlikley... still looking for a true "one-tree" survival island seed. This seed is as close as I've seen to having everything in one world. From Fluffy's pictures, the mountain disappearing is a change from Savannah M to just straight Savannah and the other shows an Ice Spike biome to an regular Ice Plains one (with a few spikes)... so, I'm really confident in saying the terrain changes are restricted to the technical biomes swapping out with regular biomes of the same type... as opposed to biomes themselves changing. This may mean that it's not a bug at all. 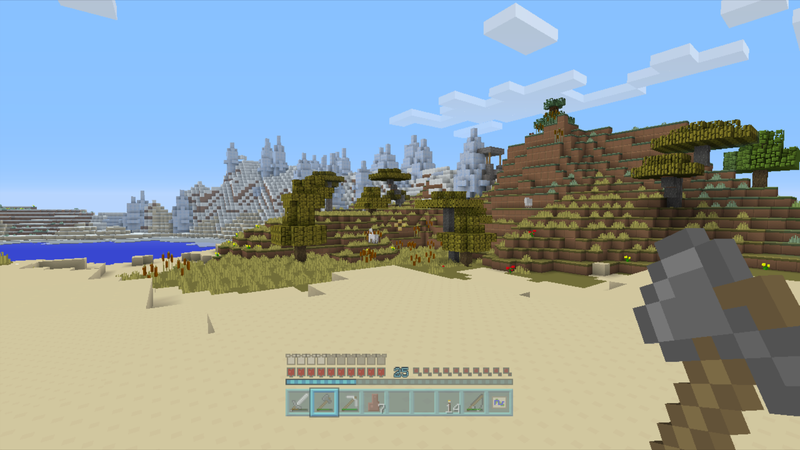 I don't know whether the technical biomes can swap out the same way on the PC, but I think it's likely to be less noticed there since most people just "added on" to their existing world when 1.8 came out rather than regenerating the same seed more than one time. If the "intended" pattern includes a spawn point shift and a bonus chest contents change at the same time, then those things may not be a bug either. We'll just have to wait to see how 4J responds. 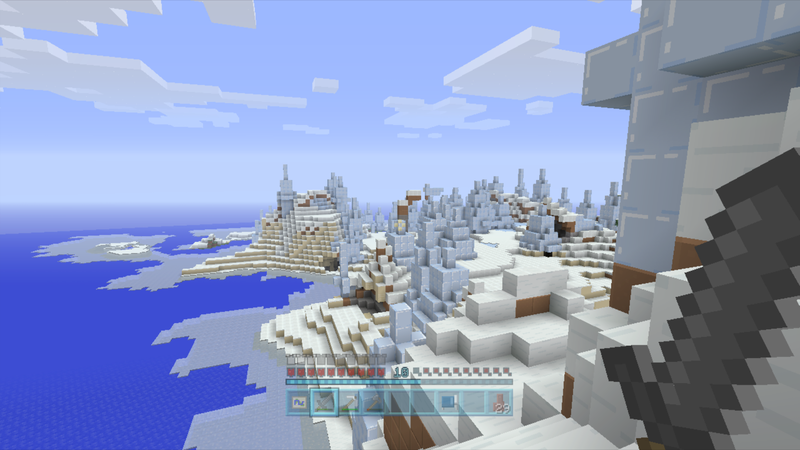 For now, on this seed, I would say that if you want the larger Ice spikes and the Savannah M "mountain", don't proceed unless you spawn in the Mega Taiga biome. @Fluffy - Is it a "good" bug?... depends on one's point of view. If it is a bug and not a stable one, it could ultimately be a "file save" corrupter... and that's never good. love it! Set up camp in the ravine near spawn (mage Taiga) until I found all the resources and 3 spawners inside before i had to move. My current set up is in the plains near the Mesa and swamp biomes and I'm constantly finding diamonds and emeralds underneath this area. Having a blast on this seed and just have to say thanks again!! #1 x 137/y 64/z -84/// is a Spider spawner, has 2 chests with 4 gunpowder,7 string, 1 name tag, 2 "cat" (green) music discs, iron horse armor, 3 buckets, 6 wheat. Like I said you will uncover a lot of resources as you travel threw these tunnels as well and eventually find the 3rd mob spawner. Have you found a skeleton spawner yet ?? I am loving this seed. My daughter got an Xbox 360 for Christmas and has me play with her.. she is 7 and has sucked me into her minecraft world. I did a lot of looking around online looking for seed that pleased her and this one has become our home. She is bit scared to explore so that has become my job and the coordinates are very appreciated! please keep them coming!! If the "intended" pattern includes a spawn point shift and a bonus chest contents change at the same time, then those things may not be a bug either. [b]We'll just have to wait to see how 4J responds[/b]. 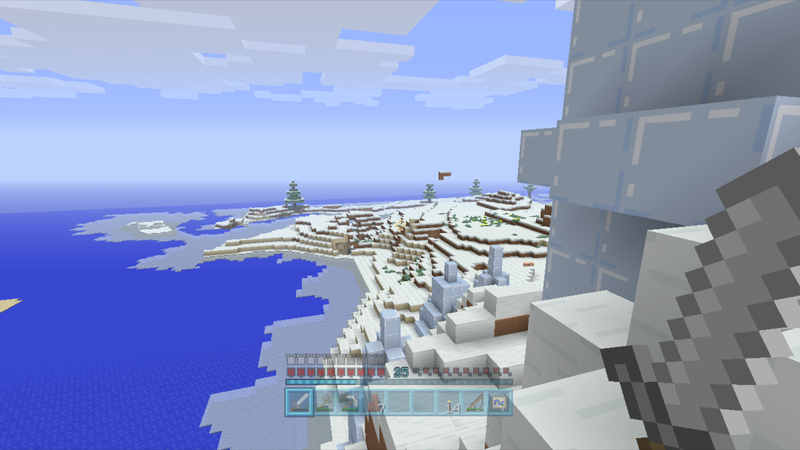 For now, on this seed, I would say that if you want the larger Ice spikes and the Savannah M "mountain", don't proceed unless you spawn in the Mega Taiga biome. 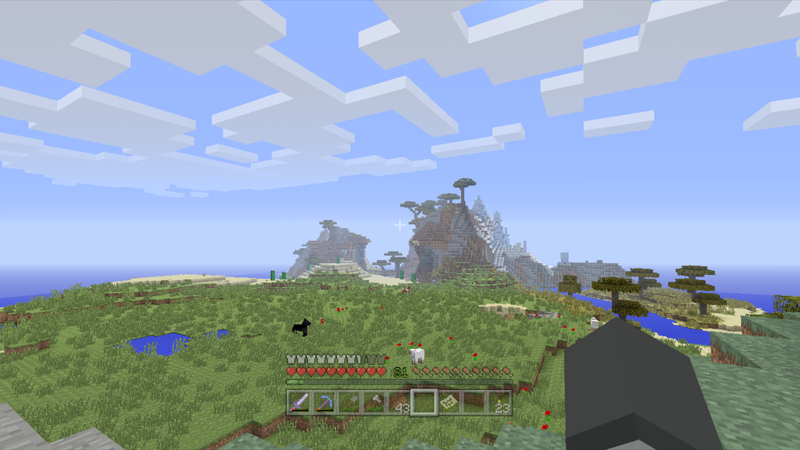 - Improved random seed generator to select worlds with a better spread of biomes. 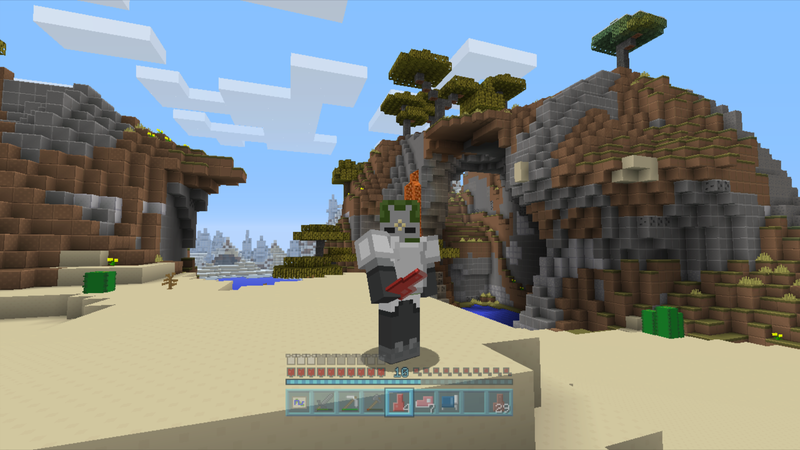 - Fix for worlds generating slightly differently every time even with the same seed. Maybe the variances currently being experienced will taper off? If the Mesa was bigger, & had a Mesa Bryce area, this would be my ideal seed. Nice find, though. Ugh, despite all the water it's so perfect except for the tiny Mesa, & no Mesa Bryce; I wonder if I dug up one of the small Mesas if I would have enough clay to enlarge the other & make my own Mesa Bryce? I believe you can even just harden and stain regular clay and add it to the existing mesas without destroying them.